It has been just too cold to ride the 2015 Grom to work lately, at least I can boast that I rode it in December. Not riding has me thinking about the 1977 GL1000 all Vetter ed up. I went out the other day and started her up, even in the garage it was cold, probably in the low 20s. I talked with my brother and he is up for a ride to Langlitz to pick up custom motorcycle jackets and so is Chris, so we will have the Grom Fury Road crew back together next summer, but this time my brother and I will be on the Goldwings! 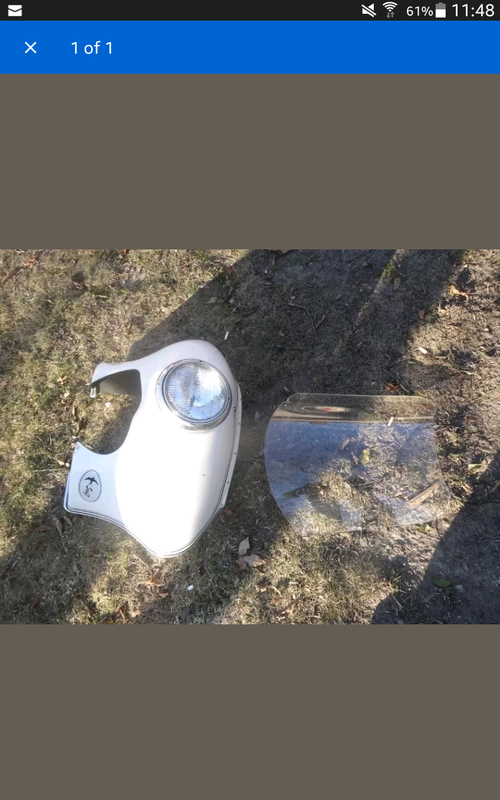 Anyway, thinking about a Langlitz Epic Trek on the Goldwings has me wanting to modify the Old wing again, and it just so happens that I found something that might look really strange/cool on the 1977 GL1000. An old Swift fairing for a BMW! Picked it up for just over a hundred bucks! It has no mount so I’ll have to fabricate something from my Vetter mount. 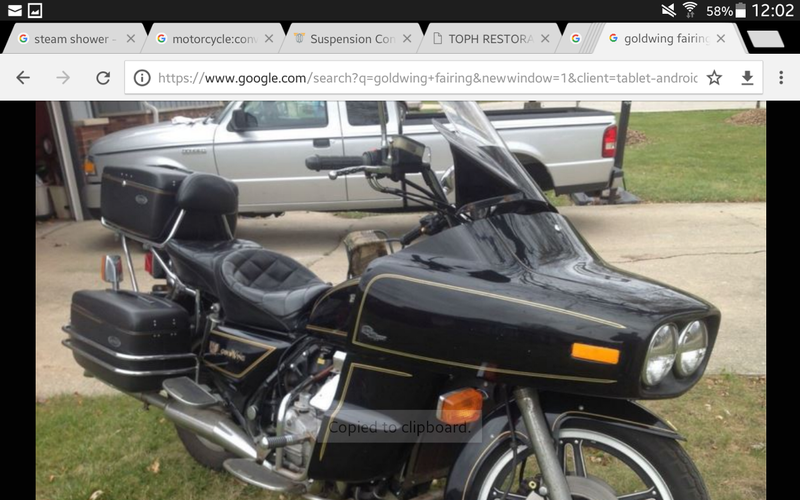 There is a little guilt that I have not done a real ride with the Windjammer, but I really want the Goldwing to stand out. In fact if I could find one at a reasonable price I would mount one of these on my GW. Bates Clipper, one of the most audacious vintage fairings I’ve ever seen! I’ll get some mount fabrication pics up when the Swift fairing finally arrives. Stay warm and be careful in the cold! Previous Previous post: The Holidays Can Get Messy and so is my New Sno Runner!